I'm gonna test them both out and post my results. Both of them say that once you mix your concentrate in it won't separate, we shall see about that. 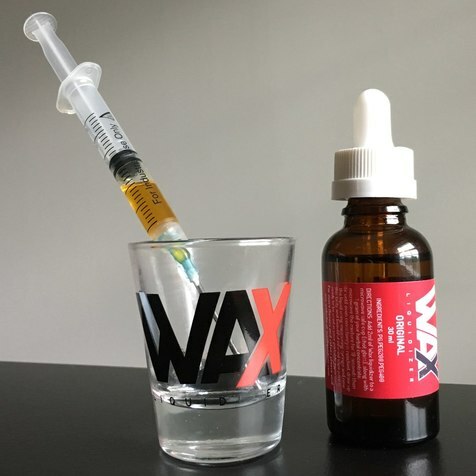 The Wax Liquidizer is flavorless and the ingredients are PG, PEG200, & PEG400 (fill me in on what that means) - it basically dilutes your wax into an e-juice. 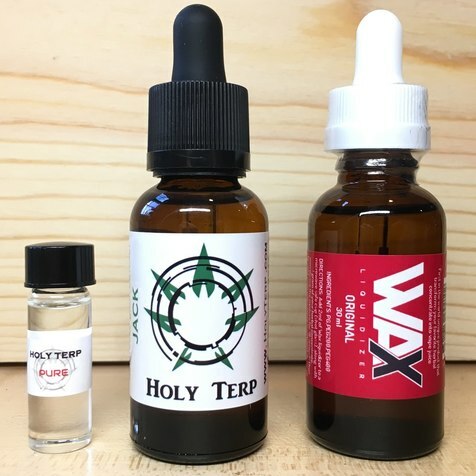 Holy Terp is similar but I got a flavored one called "Jack" with a "slight natural earthy aroma", and the ingredients of this one are: Proprietary blend of PEG400 USP, Propylene Glycol USP, VG USP, & Proprietary blend of terpenes. The small bottle on the far left is Holy Terp "Pure" (flavorless), which is more expensive and boasts: All Organic, No Glycol, No PEG, No Glycerin. 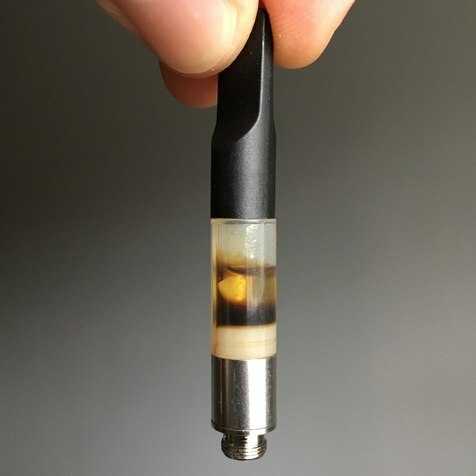 You're supposed to use a lot less of this one when you mix it versus the other two products, so I'm thinking this one will probably be the closest to turning the wax into an oil-like consistency (versus an e-liquid). Unless I scrape the reclaim and make it into edibles, I don't want terps in my edibles since I don't want them to taste like loud. PG = propylene glycol. Food safe. Used as magic juice to control humidity level in cigar humidifier elements (Credo juice) as one example of its application. PG mixed with water only has 70% of the partial pressure of water. Therefore, a PG/water solution on a sponge or other absorbant object in a sealed container will result in 70% relative humidity (approximately). PEG - polyethelene glycol 200 or 400 reflects different molecular weight versions of this compound. PG and PEG are supposed to have very low toxicity but we each need to make our own mind up as to what we will ingest. For me, give me the stable concentrates and keep the chemicals. I'm with these guys, I wouldn't add any of that to mine. Can't you just get some distillate? i'll let u know for sure! Hey Bud...I don't know first hand, but I understand Blue River Terps are the real deal. Perhaps @AVENTUS is familiar with them? 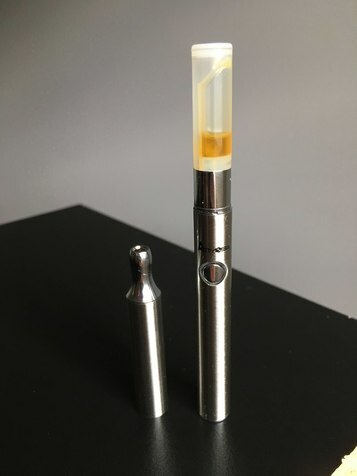 So, are you happy with it and what are you vaping it through...what kind of refillable cart do you have? The only issue with truly pure terps, is that they have solvent action, so it's important that you utilize a device that is completely free of any substance besides quartz, ceramic, glass, steel/ti, amongst any component which makes contact with the oil and in the early vapor path. 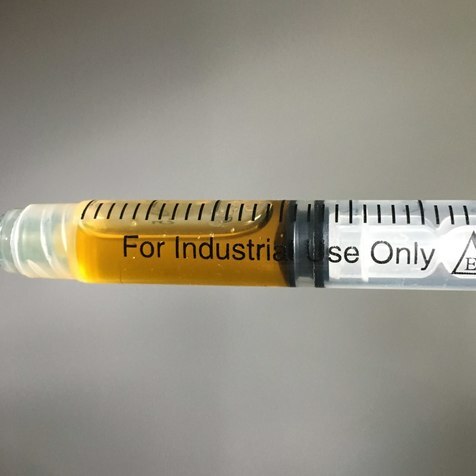 Even in storage in a plastic syringe, strains with high amounts of limonene and other solvent terps, will solve/leech silicone/latex/plastics/rubbers into the oil, which is definitely not wanted. I recently tried holy terp pure flavorless and to me it had a strange taste to it. kind of soapy almost. I really didnt like it at all, i was hoping i would be left with the flavor of the wax only. I got my hands on some of CC's the solution in ghost OG flavor. I added a few drops and the flavor was much better. still somewhat chemically and fake, a friend said it tasted like pine-sol. but it was much better than the flavorless alone. My question is...is there a truely flavorless liquidizer out there? You might want to look into the safety of PG when vaporized. Its not universally accepted as benign but I think it also hasn't been shown to be toxic. I believe its unregulated and hence a bit unknown. seeing your post on the terps breaking down in storage makes me wonder how one should maintain their "inventory" of C02 syringes? I've noticed 1 year expiration dates on the C02 oils I enjoy. Should these be used faster than 12 months before expiration? What could be done to minimize this breakdown in storage? Or to extend the life span of syringes full of C02 oils? Thanks for the feedback. as always, thanks for the feedback brother. From my testing, Holy Terps for me has a soapy floral taste kind of like the dried flower things put in bathrooms to make them smell better. I have both the Pure and Blueberry (pure) and both had that effect for me. My brother however can not taste that at all. We guessed it must be something like cilantro where some people taste it with a soapy taste that they find unpleasant and so dislike whilst others don't taste any soapy taste and love it. (I'm one of the ones that loves cilantro) As for Connoisseur concetrates, I've purchased the Organic, Essential, and Synthetic sample packs, I think they were all 10 .6 ml or g. No soapy taste, very clean. I use a 10-20% in my mix, so 1g would usually have 5 to 6 drops from their dropper. It comes out very solid state when it cools, I do the double boiler method with glass flat pyrex small clear cups. I use a preheat battery stick that can preheat the cart and if the oil is not near the intake holes, i unscrew it off and flick it down by hand till it covers intake holes. So far, very happy with their product. On the Eliquid side, I have sample pack of 6 flavors from vapeur extract, 6 from Holy Terp, and I have I believe 6 in the mail on the way from Wax Liquidizer. They mix well, I generally don't follow their recommendations, I use .5g rosin, .05-.1 g ConConc, .5 g vapeur extract or the Holy Terp ejuice. I have also done some mixes where i go .25 VapEx+.25 HolTer. They both come out ok, I myself am not the biggest fan as I love solid state with the smallest amount of extra put in. My brother reports he thinks they taste ok. I've also tested adding Tasty Puffs flavors in, they make it more sweet tasting and smelling... again, I just don't find it comparable to ConConc's synthetic line with .1g per gram rosin. Didn't like shatter batter... It was really disgusting... I have tried all the companies so far, and honestly, the most disgusting was ejmix aka wax liquidizer.... I mean really let just put a glob of plastic in my vape pen and vape it lmao. When I am dabbing I don't get that wholesome feeling. You can taste the chemichals, BUT, that doesn't mean every once in a while as a unhealthy treat isn't so bad or is it? 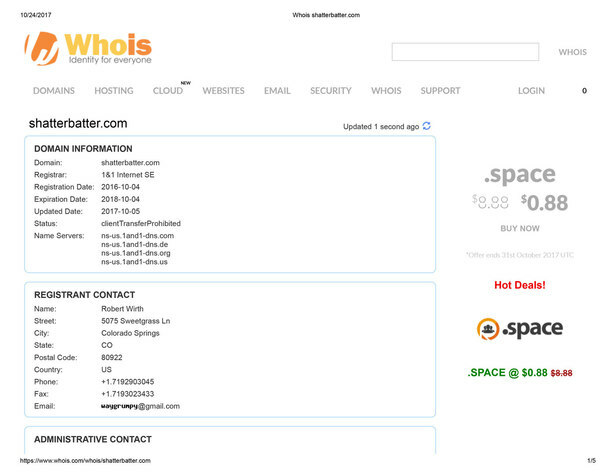 Robert, being the owner of ShatterBatter.com and everything, surprising you would say that huh? If you are getting legal, well made, concentrate you should not be getting chemical taste but it won't every taste like flower, IME. I don't worry about it being unhealthy so much as I am concerned about keeping my tolerance down to a reasonable level so I try to keep concentrates in their place as a treat and not a daily drive....but that's just me.